I’ve had quite a productive week this week. 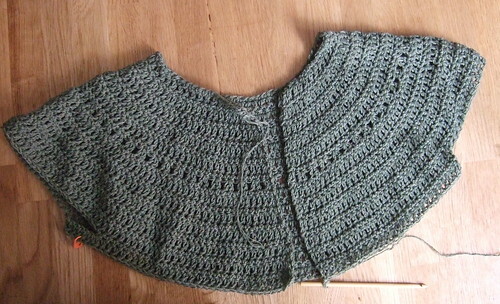 My Olive Round Yoke Cardigan is working up very quickly. I’ve been playing about with different joining methods and I’ve decided to go with slip stitching them together through the back loop with right sides facing. I crocheted so much this week that my wrist started to ache so I decided to do a bit knitting to give my wrists a rest. 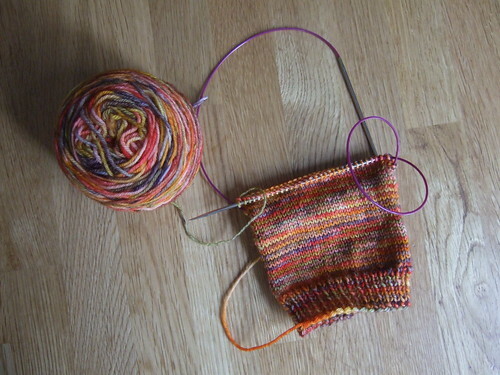 I’ve started a new pair of socks. 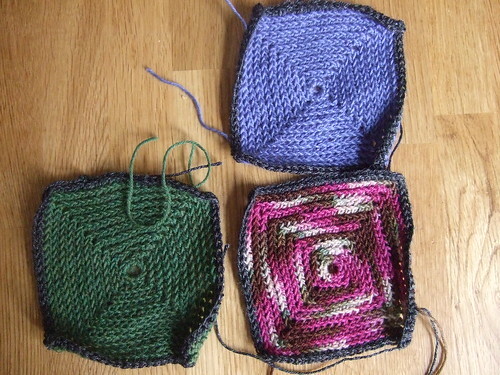 These are going to be simple stocking stitch with a 1×1 rib. I’m using some yarn I dyed a while ago with food colouring. The reds and oranges are actually a bit more vibrant in real life. My daughter Carmen thinks that the colour is reminiscent of Red (sun dried tomato) Pesto, so I have named them my Red Pesto socks.